 Discussion in 'Prime Main Forum (2017-Current)' started by EyePrime, Feb 4, 2019. In the owners manual, they show how the scissor jack is under the rear seat and there is a breaker bar/socket wrench that fits on the lug nuts. But why? The car doesn't have a spare tire to repair on the side of the road so technically its just dead weight. How would this jack and breaker bar help me in any way if I already have a hydraulic jack and decent tools for switching the tires (Winter/Summer), Im considering taking them out of my car. I purchased a spare so I'm glad to have them. include something that wouldn't normally be of use. If you get a flat and you can't follow the procedure to drive the car to distribute the goop in the tire you could jack up the car and spin the tire by hand. At least a rear tire. 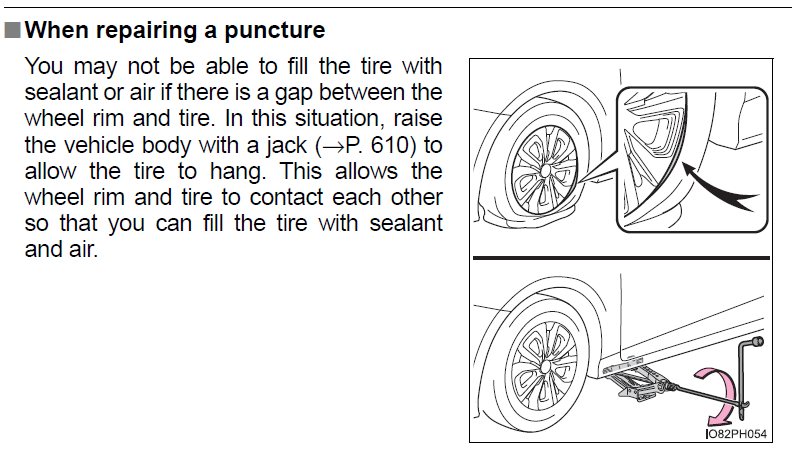 So the sealant coats the inside of the tire uniformly to keep the tire balanced? Seems a bit of a stretch if I do say so myself. Need to see of those cars that come with run flats as standard equipment come with jack and wrench. I'm just going to think, that the weight of those tools have to be non-impactful as far as MPG and efficiency. I think it's better to have than not have, even if the most important part of changing a flat tire is missing, with the absence of a spare. You can write some semi-complicated scenarios where having a scissor jack and breaker bar would still be of value. For me however, they turn out being more like "Scooby Doo" cartoon scenarios, where you use the tools to capture "Old Man Jenkins" who's been posing as the ghost of a Pirate. FYI, our 2005 AWD Sienna that came with run-flat OEM, did NOT come with a jack and wrench. Optional spare tire kit did include that. So, that means, there is no law requiring a jack and wrench in every car, at least not back then in 2005. BTW, I do too carry a full-size spare in the back of PRIME now, so having a jack and wrench are good thing. At least they are hidden in the compartment that does not take any more space in the cargo. pghyndman and Trollbait like this. 3PriusMike, Trollbait, Tideland Prius and 2 others like this. Some folks carry a full spare? Cargo area is not that big, I guess they don’t need space for daily needs. ^ Hmm, no mention of jacking it up. On the contrary, I usually need full cargo space in my PRIME for cargo, but not for people. I can live with a two-seater. My PRIME's rear seats are almost never used, so I have them folded down all the time. I place a full-size spare behind the front passenger seat. 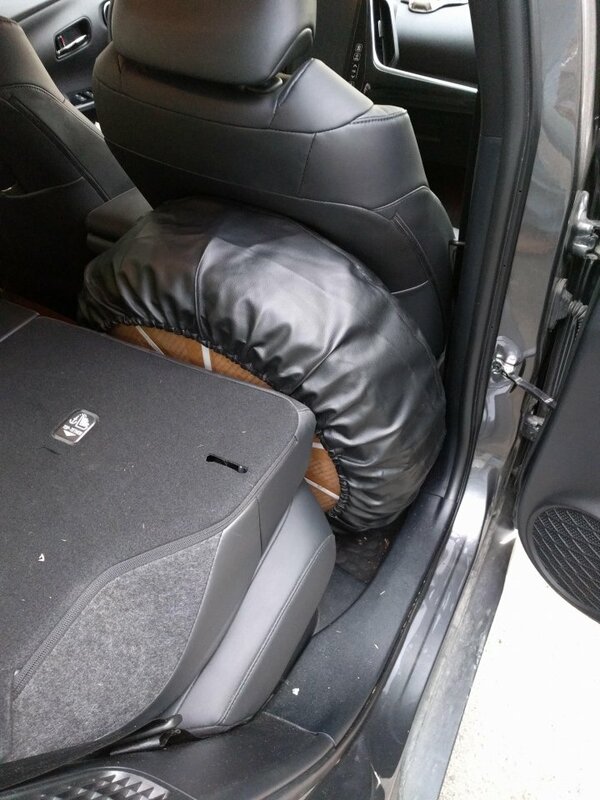 The headrest of the rear seat has to be removed, but with this set-up, the full-size spare is very tightly wedged in. Unless you have a roll-over, the tire is not going to fly out. KrPtNk and walterm like this. i want to see someone do it in real life. in the dark. in the rain. in the mud. in the middle of nowhere. don't forget to apply those stickers! In those situations, I would have a hard time changing a tire. Period. I will call AAA. Insighter, 3PriusMike, fuzzy1 and 6 others like this. I just changed a tire for someone, in the dark, on the ice, using tools that came with the car with which I was unfamiliar. I wonder if that sealant goop will destroy the TPMS in the rim. I believe that it also destroys the tire by making it non repairable. Obviously a plug-in repair kit is a better solution. Where did you purchase the tire cover? Manufacturers are moving to electric parking brakes because it save 13 or fewer pounds. Considering past experience with cheap compressors, I'd jack up the car just to reduce the work on the factory supplied one. Does AC default on ? Does Toyota See the Future? Does Prius Prime trunk fit a baby stroller? Replace 2014 Plug in with 2018 Prime Premium....Does it make sense?